This report is a part of the requirement for completing the course ‘Marketing Research MKT 409’. The objective behind this report is to grasp a deeper understanding of the present telecommunication industry in Bangladesh. As can be seen when the report is thoroughly reviewed, the 6 telecommunication companies- Grameen Phone, AKtel, Banglalink, Citycell, Teletalk and the new entrant Warid Telecom- are striving to have the most share in the total market. Either through providing better network or through lower call rate, each of the telecommunication companies is creating their own style of capturing new customers and retaining old ones. All the telecommunication companies have made their packages –prepaid and postpaid- with lots of attributes and benefits. Through the survey it was acknowledged how each of the respondents reacts to those features and how they evaluate those characteristics. Their likings, disliking, perceptions and expectations are all reflected in this report through some diagrams derived by using the SPSS software. The report ends with some recommendations on the present telecommunication companies and they are based on the findings of the survey. Telecommunication industry in Bangladesh is considered to be the most competitive industry of Bangladesh. The industry has reached to almost of its mature stage. And the companies in the field are facing a tough fight while expanding. This report entitled Report on ‘Telecommunication Industry in Bangladesh’ is a requirement for the completion of the course Marketing Research. The main purpose of this report is to exchange and relate theoretical knowledge with real life situation. Under the instruction and guidance of the course instructor Lakkahan Chandra Robi Das, we have taken the initiative to prepare this report with much precision and by being completely unbiased. To gather information about the present state of the telecommunication companies in Bangladesh. To have a clear understanding about the importance of Marketing strategies management in the success of an organization. To learn about different marketing mix used by Telecommunication to sustain in the competitive market. The study is descriptive and exploratory in nature. The data are collected from secondary sources. The study is focused on Dhaka city. This report is limited only by its marketing activities, and not related with any other departmental activities. The report is not subjected to any personal clarifications, and confidentiality of some information was a strict requirement on organizations’ part. Time Constraints: During the data collection procedure pressure was created for the limitation in time. Due to unavailability of sufficient time, the interviewee could not spare time so as when to be interviewed. After several requests for an appointment, the time was spared but it got a little late on our side to prepare the report days before the submission date. Amateur: Due to lack of practical experience, some errors might have occurred in the proper implementation of this report, so maximum effort is expended to reduce errors. Work Load: The burden of other courses during the preparation of this report might have deprived the full concentration that the report actually required. Grameenphone is now the leading telecommunications service provider in the country with more than 10 million subscribers as of November 2006. Presently, there about 15 million telephone users in the country, of which, a little over one million are fixed-phone users and the rest mobile phone subscribers. Starting its operations on March 26, 1997, the Independence Day of Bangladesh, Grameenphone has come a long way. It is a joint venture enterprise between Telenor (62%), the largest telecommunications service provider in Norway with mobile phone operations in 12 other countries, and Grameen Telecom Corporation (38%), a non-profit sister concern of the internationally acclaimed micro-credit pioneer Grameen Bank. Over the years, Grameenphone has always been a pioneer in introducing new products and services in the local market. GP was the first company to introduce GSM technology in Bangladesh when it launched its services in March 1997.The technological know-how and managerial expertise of Telenor has been instrumental in setting up such an international standard mobile phone operation in Bangladesh. Being one of the pioneers in developing the GSM service in Europe, Telenor has also helped to transfer this knowledge to the local employees over the years. Grameenphone is one of the largest private sector investments in the country with an accumulated investment of BDT 5200 crore up to December 2005. Grameenphone is also one the largest taxpayers in the country, having contributed nearly BDT 5000 crore in direct and indirect taxes to the Government Exchequer over the years. Of this amount, BDT 1670 crore was paid in 2005 alone. GP was also the first operator to introduce the pre-paid service in September 1999. It established the first 24-hour Call Center, introduced value-added services such as VMS, SMS, fax and data transmission services, international roaming service,WAP, SMS-based push-pull services, EDGE, personal ring back tone and many other products and services. Grameenphone nearly doubled its subscriber base during the initial years while the growth was much faster during the later years. It ended the inaugural year with 18,000 customers, 30,000 by the end of 1998, 60,000 in 1999, 193,000 in 2000, 471,000 in 2001, 775,000 in 2002, 1.16 million in 2003, 2.4 million in 2004 and it ended 2005 with 5.5 million customers. From the very beginning, Grameenphone placed emphasis on providing good after-sales services. In recent years, the focus has been to provide after-sales within a short distance from where the customers live. There are now more than 600 GP Service Desks across the country covering nearly all upazilas of 61 districts. In addition, there are nine GP Customer Centers in all the divisional cities and they remain open from 8am-8pm every day including all holidays. GP has generated direct and indirect employment for a large number of people over the years.The company presently has more than 3,000 full, part-time and contractual employees. Another 70,000 people are directly dependent on Grameenphone for their livelihood, working for the GP dealers, retailers, scratch card outlets, suppliers, vendors, contractors and others. In addition, the Village Phone Program, also started in 1997, provides a good income-earning opportunity to more than 200,000 mostly women Village Phone operators living in rural areas. The Village Phone Program is a unique initiative to provide universal access to telecommunications service in remote, rural areas. Administered by Grameen Telecom Corporation, it enables rural people who normally cannot afford to own a telephone to avail the service while providing the VP operators an opportunity to earn a living. The Village Phone initiative was given the “GSM in the Community” award at the global GSM Congress held in Cannes, France in February 2000. Grameenphone was also adjudged the Best Joint Venture Enterprise of the Year at the Bangladesh Business Awards in 2002. Grameenphone considers its employees to be one of its most important assets. GP has an extensive employee benefit scheme in place including Gratuity, Provident Fund, Group Insurance, Family. The shareholders of Grameenphone contribute their unique, in-depth experience in both telecommunications and development. To provide best quality wholesale products and services by innovating and developing customer-complete solutions. The vision of GrameenPhone Ltd. is “To be the leading provider of telecommunication services all over Bangladesh with satisfied customers, shareholders and enthusiastic employees”. GrameenPhone Ltd. has a duel objective to receive an economic return on its investments and to contribute to the economic development of Bangladesh through telecommunication. This is why Grameen Phone, in collaboration with Grameen Bank and Grameen Telecom, is aiming to place one phone in each village to contribute significantly to the economic benefit of the poor. It is on the way to bring a total revolution in the telecommunication field. By attaining the success factors, Grameen Phone would like to be recognized as a reliable, honest and committed company to its valued subscribers and stakeholders. The basic strategy of GrameenPhone Ltd. Is for the overall coverage of both urban and rural areas. It builds continues coverage, cell after cell, with an intention to bring the whole country under its network. Though the priority of the intensity of coverage varies from area to area, the basic strategy of cell-to-cell coverage is applied through the whole country. Presently it has network coverage in 57 districts around the country including all six divisional headquarters, with 749 base stations in operation. GrameenPhone’s strength comes in their strong network capability, extended product line and services attracted the customers very quickly. GrameenPhone offers a number of products and value-added services to its valued subscribers. These attractive products and services are designed to cater to the needs of the individual subscribers. There are six products currently being offered by GrameenPhone. The products are: GP Regular, GP National, Anytime 300, Anytime 500, EASY GOLD and EASY Pre-paid. In addition, GrameenPhone offers a number of Value-added Services (AS) to its subscribers. 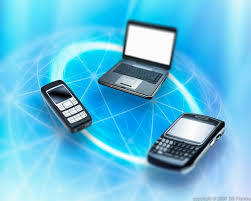 These include Text Messaging (SMS), Voice Mail, Fax/Data service and Wireless Application Protocol (WAP). The SMS-based Push-Pull Service was also launched in January 2003. Also GrameenPhone’s subsidiary Djuice created a heavy buzz in the market when introduced in the middle of 2005. GrameenPhone targeted the younger generation of audiences with the brand and became an instant hit. The made heavy promotions for the brand & value added services that they were providing with it. Concerts, fairs etc attracted people to buy Djuice. Product positioning & repositioning is one of the major strength of the company. Their product line is one of the most comprehensive in the business. Services are launched keeping in mind each and every segment of the market. They also reposition their product on the basis of change in the environment. Price flexibility is another strategy that the company follows prominently. In case of product overlap (i.e. easy pre paid & Djuice), occasions or simply for promotion the company exercises the price flexibility issue effectively. GrameenPhone’s creative cell is one of the best in the country. Their recent advertisements are a big hit in the country. They spend more than anyone in the ad campaign in this industry. GrameenPhone believes that good business leads to good development, since high level of productivity is development. The activities of GP contribute to the socio-economic development of Bangladesh in many different ways. In the sports arena, GP is currently sponsoring the Bangladesh National Cricket Team for a period of two years through 2003-2005. The business environment in telecommunication industry has become very competitive. The industry has reached to the maturity stage. Therefore the companies in this industry make the best way to communicate with the potential as well as existing customers. Grameen Phone uses advertising specially to promote its newly launched packages or offers. As the customers are using multiple connection therefore, Grameen Phone introduces new offers frequently to hold its existing customers.Grameen Phone mainly uses Television and Newspaper. But it also uses outdoors and internet. Television is equally important as mode of advertisement compared to newspaper. It is so because it can convey a message to a large number of people at a time. Grameen phone’s TVC are maninf formulated with the objective to remind the people about their existence and to promote their new packages or services. The style of the TVCs are musical, personality symbol and lifestyle for the Djuice. The TVC are created by experts of famous AD agencies. Bitopi Ad Agency works permanently for creating ads for Djuice. The theme of the ads are either created by the Ad firms or sometime by themselves. Another important mode of advertisement is outdoors. Outdoors take the part of billboards. The billboards are maximally found beside the highways and in the crowded areas. Premium: Grameen Phone provide free talk time during the purchase of a connection. Contest : Grameen Phone arranges for many contest. One of the very famous of such is Djuice Drockstar. Events: Grameen Phone hosts many events like concerts at different cities all over Bangladesh. Sponsor: Grameen Phone Sponsors Bangladesh Cricket Board. It also sponsors many tournament regarding different games like Golf, Cricket etc. Patronage Reward: Grameen Phone provides Thank You Bonus for the regular use of Grameen Phone. Point of Purchase: Displays, posters, sign boards, danglers. oblars, buntings etc are some form of POP that are found in a large numbers of shops all over Bangladesh. This plays a very important role in positioning the brand. Grameen Phone plans to build good relations with the company’s various publics by obtaining favorable publicity, building up good corporate image. It makes contracts with different NGOs and communities. Its different activities and newly products are publicized. Written Materials: GP publishes annual reports at the end of each year for the interest of stakeholders. GP also publishes newsletters at the end of each month which are available for the postpaid subscribers and are also available at the Grameen Phone Centre. Audiovisual Materials: GP employees use slide and sound programs and films when they are in any meeting or agreements with other companies. Business cards used by the employees of GP, Logo, Printed stationeries etc are also used as important tools for Public relation. Web site of GP is very well designed and are very convenient for the people to gather different information about GP. A large number of GP’s sales personnel are involved in making corporate sales in large organizations. GP is leading in corporate sales in Bangladesh. Direct marketing also help GP to gain lasting customer relationship with these organizations. The long awaited launching of a mobile telecom network by a state-run enterprise had finally materialized on 1 March 2005. It also fulfilled a cherished dream of people who continuously demanded to the government for such an enterprise. The government started the “Mobile Telephone Project” and Bangladesh Telegraph & Telephone Board (BTTB) was entrusted with the responsibility for implementing the same. The Project work started in June 2004 and the network was soft launched on 1 march, 2005. I am happy that BTTB had been able to keep its promise and deliver in time. Banglalink got huge popularity as it triggered the true competition in the market. I am happy to know that within one year, Banglalink has covered 64 districts, 120 upazillas and most part of the three major highways of the country. However, there is still a long way to pass for improving its network. People have high expectation from Banglalink. They expect continuous network coverage all over the country, prompt customer service, and more value added services, data services of high band-width etc. from Banglalink. Banglalink must honor its customers by improving its services day-by-day so that people can realize that even in a competitive scenario, the public sector organization can achieve remarkable development if they get opportunity. Banglalink understands people’s needs best and will create and deliver appropriate communication services to improve people’s life and make it easier. The biggest barrier today for people is the cost of handsets. Banglalink strive to lower the total cost of owning a mobile. They are here to help make a difference in people’s lives by providing affordable and reliable connectivity solutions. The company strives to connect people and link their lives by listening to them and by understanding their needs. They are here to help you speak your language. Advertisement through Electronics media: Banglalink published their advertisement different channel as like- ntv, channel 1, Rtv, Bangla vision, ATN Bangla, radio today etc. Personal presentation by the firm’s sales forces for the purpose of making sales and building customer relationship. Banglalink uses personal selling in different stages of marketing and distribution. Company distributes their product (SIM, Scratch, I-top, Cash card) among the wholesalers and retailers by maintaining the excellent relationship. Banglalink’s communicate with corporate client by its sales force building and keeping relationship with potential and existing valued customer. Sales promotion includes a wide way of tools that can attract consumer’s attraction, strong incentive of purchase, free gifts, discount and several types of occasional program. Road show: Banglalink organized a two days long road show. Here subscribers got the opportunity to buy SIM of different pre-paid package at 70TK,where regular offer is 150TK. Handbag Distribution: At Bangla academy “Ekusay Boi Mela” Banglalink distributed handbag in visitors who bought book from fair. There was slogan on handbag for raising awareness for reading book. Scarf Distribution: Banglalink distributed scarf to attract their existing and new customer at Pahela Baisakh, That scarf create brand awareness of Banglalink. Starting of mobile telephone service through a state-run entity was the cherished dream of all people of Bangladesh. Bangladesh Government had honored the dream by including this issue in its election pledge. Our government had taken several positive steps for making this dream into a reality. Though money is very hard to come by in the national budget, our government had allocated approximately Taka 800 (eight hundred) crore for the mobile telephone project. We have also created the new company Teletalk Bangladesh Limited to operate and render its services to the people. (The present government is committed to reach mobile telephony to the doorsteps of the common man at an affordable price. Teletalk, a state-run public mobile-telephone company was launched with that objective in mind. The venture has proved to be successful one, as the introduction of Teletalk has led to reduction of tariffs in mobile telephone services rendered by other providers as well.Teletalk is the only state-run mobile telephone service provider in the country. It has already completed one year of operation. In this year Teletalk has a story of success as well as failure. On the other hand, there is still undesirable weak or no network in some important places despite its best and sincere efforts. People’s expectation from Teletalk is very high – people have shown tremendous enthusiasm to have a connection of Teletalk mobile phone. Therefore, Teletalk must honor its customers by improving its services day-by-day so that people may be proud of the organization. This state-run company should however, be given enough authority and freedom to expand its network and to provide more and more value added services to strengthen its position in the market. This will not only create a source of revenue for the Government but also give rare opportunity to the public to have better and quality services at cheaper rates. Teletalk is a service based industry. So it always tries to maintain the quality of the service when it serves to the customers. And teletalk has done the job by offering different type of package. Pricing is one of the marketing mix tools that a company uses to achieve it marketing objectives. Teletalk decides its service pricing on the basis of cost based pricing. They always think about the consumer purchase capability. That’s why they try to fix a reasonable price for the consumer. Teletalk first promotional activity is advertising. They know that advertising is the way where massage could be delivered to the consumers mind. And this Massage can be delivered to the consumer by the sound, music, choreography, lighting and performer appearance. Advertisement massage must be believable, meaningful and distinctive. Advertising can be used to buildup a long-term image for a product and also can trigger quick sales. So that they invest a huge amount of money for advertise to create a brand loyal customer. Personal presentation by the firm sales force for the purpose of making sales and building customer relationship. Teletalk uses personal selling in different stages of marketing and distribution. Company distributes their product (SIM, Scratch, Cash card) among the wholesalers and retailers by maintaining the excellent relationship. Sales promotion includes a wide way of tools that can attract consumer’s attraction, strong incentive of purchase, free gifts, discount and several types of occasional program. PHP sales promotion includes credit sales, commission etc. PHP arrange conference every year among the dealers, wholesalers and retailers. They always try to influence and convince them for creating a market demand and sale their product. Public relation is used to promote products, people, places, ideas, activities, organizations and even nations. Public relation can also influence a product sales or brand awareness. Teletalk arrange meeting always with the wholesalers and retailer for maintaining a good relationship with them. Place is very much important for product sale. Place depends on good location, transportation facility, availability, channels etc. and teletalk select a right place named Banani, from this place people can easily buy the product and there transportation system is very easy and available. ROBI is the dynamic and leading end-to-end countrywide GSM mobile communication solutions of TM International (Bangladesh) Limited. It is a joint venture company between Telecom Malaysia Berhad and A.K. Khan & Co. Limited, which was established in the year 1996, and services launched in 1997 under the brand name ROBI. To be the most preferred GSM cellular service provider in Bangladesh. To provide total customer satisfaction as the company strives to become the most preferred GSM cellular service provider in Bangladesh. TMIB will achieve this through developing people, products, and services of the highest quality and meeting the needs of its employees, shareholders and the nation. To advertise their products and services to the market Robi uses various types of media that are available. Form television commercials to newspaper and magazine they are now even sponsoring the evening news headlines. Robi currently uses both electronic and print media for advertising its product and services. The following tables show the proposed Medias for Robi. Television as advertising: Television advertising will be among the most effective media to reach the customer. The new television advertisement will be broadcasted in all national and private television channels before and middle time programs included. Robi can advertise its SME package. During the popular talk show. During the popular package magazine programs. Newspaper as an advertising: Newspaper is among the most effective medium for the advertising of Robi. It will be the most cost effective medium to reach the geographically dispersed target market. Billboard: Billboard attracts attention and appeal to customer so that they are aware of Robi SME. Billboard can be put on main roads and some major shopping center around Dhaka city. Sales promotion: Sales promotion is very important specially in case of introducing a new product to create the initial demand for SME package. Robi can use sales promotion as a tool. Direct Marketing: Direct Marketing can also be effective media of promotion for the Robi SME. Directly visiting the customer could not be cost effective and feasible for Robi. Public Relation: Public relation can also influence a product sales or brand awareness. Robi arrange meeting always with the wholesalers and retailer for maintaining a good relationship with them. CityCell (Pacific Bangladesh Telecom Limited) is Bangladesh’s pioneering mobile communications company and the only CDMA network operator in the country. CityCell is a customer-driven organization whose mission is to deliver the latest in advanced telecommunication services to Bangladesh. v Good business-to receive an economic return on its investment. v Good development-to contribute to the economic development of Bangladesh where telecommunication can play a critical role. To continue to be the leader in telecom industries in the region and provide complete communication solution to customers with a smile. The company offers a full array of fixed and mobile services for consumers and businesses that are focused on the unique needs of the Bangladeshi community. CityCell’s growth strategy is to integrate superior customer service, highest standard technology and choice of packages at affordable rates. The company operates a 24-hour call centre with over 86 well trained operators to respond to customer queries. CityCell’s customer services are open 7 days a week to ensure customers can access CityCell at any convenient time. CityCell is focused on innovation and creating new ways for customers to stay in touch and to do business. CityCell’s is offering a wide range of competitive prepaid and postpaid mobile packages as well as Value Added Services such as SMS and information based services. CityCell is looking forward in introducing CDMA 1x technology in 2004 to provide innovative multimedia features, including Multimedia Messaging Service (MMS) and many more data based mobile features currently not available in Bangladesh. CityCell was the first entrant in Bangladesh with mobile phone but it is sad to say that the company couldn’t capitalized on the first movers advantages that it got from entering the market. CityCell could have created a lead for itself that others would have found difficult to match. Following the concept of the experience curve, if the first entrant gains a respectable share of the market, across the board costs should go down by a fixed percentage. But in the case of CityCell this didn’t happen. It is mainly because of the poor strategy selection by the top management. They followed a “island” strategy building strong network here & there where they see the customers are buying CityCell connection. In case of marketing strategy CityCell made some mistakes too. The advertisement & promotional campaign wasn’t adequate to match those of GrameenPhone’s. No heavy promotional campaign was undertaken in the last 5-6 yrs or so. Even in the early entry stage CityCell was not too aggressive in marketing their services. They thought that entering the market first gives them the adequate market share & they were happy with it. They didn’t consider the environmental change & competition from the other companies that may enter Bangladesh in the future. So when competitors like Grameen, Robi entered the market it was clear that CityCell will lose their market share significantly. CityCell also lacked in the product market as well. They are the only company in Bangladesh in operating the CDMA technology. This gives them some obvious disadvantages in the market. First of all CDMA technology prohibits users to change their mobile sets. So when cell phone manufacturing companies are bringing out these new phones every month the users of CityCell cannot switch to those phones. While other companies with GSM technology doesn’t have this barrier. Secondly CityCell product positioning was very limited from the beginning. They concentrated on the high income bracket target market form the start of their business. Even after the competition picked up it failed to reposition its product in the market. Thirdly the company failed to attract new target market with their promotional campaign. Hardly any CityCell advertisements were visible during the last 4-5 yrs up until now. Hopefully CityCell will find it course back sometimes soon because Singapore telecom giant SingTel bought 45% of CityCell’s share in the middle of 2005. The management hopes to diversify their service & reach out to a larger population by the end of next year. Advertising can be used to build up a long-term image for a product and also can trigger quick sales. So that they invest a huge amount of money for advertise to create a brand loyal customer. Public Relation: Public Relation is very much believable and believable. They do the following items in this promotional tool. Distributes relief among fire victims. Help hand with government to stop drugs. Stage concert to raise money to ease flood hardship. Donates money for the flood affected. Hands over relief to rotary for the food victims. Sales promotion: CityCell gives lower call rates and high speed internet cost very low other competitor. A new Middle East Based telecom company named Airtel Telecom is on its verge to enter into Bangladesh in the next few months. Their strategies are yet to be known to public. However rumor and public opinion expects Airtel to make the mobile phone service industry further competitive. To advertise their products and services to the market Airtel uses various types of media that are available. Form television commercials to newspaper and magazine they are now even sponsoring the evening news headlines. Airtel currently uses both electronic and print media for advertising its product and services. The following tables show the proposed Medias for Airtel. The new television advertisement will be broadcasted in all national and private television channels before and middle time programs included. Airtel can advertise its SME package. Newspaper as an advertising: Newspaper is among the most effective medium for the advertising of Airtel. It will be the most cost effective medium to reach the geographically dispersed target market. Billboard: Billboard attracts attention and appeal to customer so that they are aware of Airtel SME. Billboard can be put on main roads and some major shopping center around Dhaka city. Sales promotion: Sales promotion is very important specially in case of introducing a new product to create the initial demand for SME package. Airtel can use sales promotion as a tool. Direct Marketing: Direct Marketing can also be effective media of promotion for the Airtel SME. Directly visiting the customer could not be cost effective and feasible for Airtel. Public Relation: Public relation can also influence a product sales or brand awareness. Airtel arrange meeting always with the wholesalers and retailer for maintaining a good relationship with them. Market leaders: GP is the first organization in Bangladesh which have reached to the general people. Network Availability: GP has widest network coverage and a large of BTS station (Tower all over Bangladesh). Brand name of Grameen image: Grameen Bank is well know all over the country because of its appreciable activities in financial sector for poor people in Bangladesh. Financial soundness: Because of the effective planning grameen phone is able to earn a healthy amount of revenue which gives then financial soundness. High ethical standard: To keep the quality of service GP is street to follow its ethical standard. Complicated Pricing Structure: GP has lots of product. The pricing of these products and their billing policies are different which also difficult for a users to understand. Different department are not working together: The inter connection of the department little bit weak. Economic growth of Bangladesh: The economic growth of country will increase the expansion of telecommunication industry. New and better interconnect agreement: GP is going to have agreement with TK. To have better from land phone. Huge demand for telecom services: The market of telecommunication is expending. So, this is easy for GP to achieve the major portion of expanded market because of its leading position. 1. More rigid Government regulations: Government is becoming restricted for taking away currency from the country. 2. Political Instability: Political instability is another threat because with the change of Government, policies are also changed. 3. Devaluation of Taka: As the investment occurs in foreign currency that’s why the devaluation of Taka decrease profit financial profit of view. Low cost provider regarding its competitor. Banglalink’s all connections are ISD & EISD. Banglalink is the only indigenous company using GSM service. From the very beginning it is providing free TNT incoming & Outgoing. It has also provided incoming facility up lifetime. Moreover its contribution to our economy can be notable. The progress of development of network is far below from the subscriber expectation. Lower number of human resource. Failed to identify difference between developed market and developing market. Banglalink does follow aggressive marketing but it should follow smooth strategy. Banglalink faces coordination problem of Management system. 1. Banglalink can use the image of multinational organization. 2. Introduction of new technology and services. 3. Expand the market in the rural area. 4. Banglalink can use the experience strong network facilities. 5.Banglalink can use soft switch network, 1. An upcoming mobile service provider named WARID TELECOM a concern of Dhabi group and present market rivals. 2. The invention of technology which is new modern and consumer oriented. 3. Another invisible threat is land phone operator. Banglalink’s all connections are ISD & EISD: It’s a big strength of Banglalink. It’s the only SIM which has such a versatility of connections having ISD, Economy ISD service along with both incoming and outgoing connectivity with any of the land phones. This is not seen to other providers. It gives a tremendous competitive advantage to the Banglalink Bangladesh ltd over its respective competitors. Banglalink is the only indigenous company using GSM service: Banglalink is the only local organization which is providing GSM technology in this country. The other local organization named pacific telecom is providing CDMA technology which is more expensive. So Banglalink can take this advantage over its competitors. It has also provided incoming facility up to lifetime: Banglalink have a strong strength over its competitors incase of incoming facility. Banglalink present incoming duration is up to lifetime. From the very beginning it is providing free TNT incoming: Banglalink is the only provider which is providing T&T incoming free from the very beginning. Whether other operators providers providing such kind of facility just now. Moreover its contribution to our economy can be notable: As a multinational company Banglalink have a strong contribution in our national economy. Its one of the high profit generating in Bangladesh. Low cost provider: The most remarkable success of Banglalink is the slump in tariff structure. It is the lowest cost provider in Bangladesh telecommunication market. As soon as Banglalink announced its tariff the long lasting oligopoly between other private mobile providers were shattered. Healthy competition came into the mobile market. Lower number of human resource: The number of employee of Banglalink is too much lower regarding its requirement. As a result the service quality and customer satisfaction go down. Failed to identify difference between developed market and developing market: Banglalink failed to identify the difference between developed market and developing market. There strategy making is not match with the current situation. Weak management system: poor coordination among different functional department of Banglalink as result service efficiency goes down. The progress of development of network is far below from the subscriber expectation: the expansion of network coverage is too much slow. People thought that Banglalink should use the GSM network facilities; as a result Banglalink can cover the most of the area of Bangladesh. Banglalink can use the image of multinational organization: People want to better facility from service industry. So Banglalink can use such kind of soft corner of consumers and promote the service to them. Introduction of new technology and services: Banglalink can implement new and consumer oriented technology in this sector. Because people have inclination to new and modern technology. Now a day’s people are ready to accept the new thing. Expand the market in the rural area: Till now there is huge area is remain out of coverage where a huge number of target consumers are available. So Banglalink can bring that respective area under coverage and catch those potential consumers. Banglalink can use the experience of multinational one of the old and experience organization in Bangladesh telecommunication sector. They have special experience about the consumer behavior of Bangladesh. They know about the consumer’s need and want. Banglalink can use soft switch network: The soft switch network separates the bearer and control layers and a soft switch centric network can be built on different types of bearer networks such as TDM, IP and ATM unlike, legacy network that depend on a single specific switching technology. Based on strategic planning and the developmental phase, an operator can select suitable bearer mode technologies for different phases, from the perspective of long term sustainable development, the IP centered soft switch network defines the future. So Banglalink can use this technology and practice competitive advantage over rivals. The invention of technology which is new modern and consumer oriented: Technology is changing with day run. It changes the consumer’s demand pattern by offering different attractive features. As a result consumer shifts from one technology to other technology, which might create a big problem to Banglalink and others. Another invisible threat is land phone operator: In Bangladesh land phone operator is expanding the market with day run. People are switch from mobile to land phone operators. As a result ultimately the number of mobile user is decreasing and create problem to the mobile operators as well as Banglalink. A SWOT analysis stands for Strengths, Weaknesses, Opportunities, and Threats and is a simple and powerful way to analyze company’s present marketing situation. SWOT Analysis is a powerful technique for identifying Strengths and Weaknesses, and for examining the Opportunities and Threats organization face. What makes SWOT particularly powerful is that with a little thought, it can help us uncover opportunities that we are well placed to take advantage of. And by understanding our weaknesses, we can manage and eliminate threats that would otherwise catch our unawares. More than this, by looking at ourselves and our competitors using the SWOT framework, we can start to craft a strategy that helps us distinguish ourselves from our competitors, so that we can compete successfully in current market. Cost advantages from proprietary know-how. Teletalk’s all connections are ISD & EISD. Teletalk is the only indigenous company using GSM service. From the very beginning it is providing free TNT incoming. It has also provided incoming facility up to 2015. Premature entrance in a mature market. Lack of potential and efficient employee. 1. Teletalk can use the image of local and government owned organization. 4. Teletalk can use the experience of BTTB. 1. An upcoming mobile service provider named TELECOM a concern of Dhabi group and present market rivals. Subscriber inclination to Teletalk as a government owned organization: People have a deep inclination towards Teletalk . Because subscribers have more confidence in the government institution. They think that they might get some extra benefit from Teletalk like lower call rate, optical fiber facilities etc. rather than other providers. Ø Teletalk’s all connections are ISD & EISD: It’s a big strength of Teletalk. It’s the only SIM which has such a versatility of connections having ISD, Economy ISD service along with both incoming and outgoing connectivity with any of the land phones. This is not seen to other providers. It gives a tremendous competitive advantage to the Teletalk Bangladesh ltd over its respective competitors. Ø Teletalk is the only indigenous company using GSM service: Teletalk is the only local organization which is providing GSM technology in this country. The other local organization named pacific telecom is providing CDMA technology which is more expensive. So Teletalk can take this advantage over its competitors. It has also provided incoming facility up to 2015: Teletalk have a strong strength over its competitors incase of incoming facility. Teletalks present incoming duration is up to 20015. Which is 20 times more than other competitors? From the very beginning it is providing free TNT incoming: Teletalk is the only provider which is providing T&T incoming free from the very beginning. Whether other operators providers providing such kind of facility just now. Ø Moreover its contribution to our economy can be notable: As a Govt. owned company Teletalk have a strong contribution in our national economy. Its one of the high profit generating Govt. organization in Bangladesh. Low cost provider: The most remarkable success of Teletalk is the slump in tariff structure. It is the lowest cost provider in Bangladesh telecommunication market. Premature entrance in mature market: The biggest weakness was a premature entrance in a mature market. As soon as anyone could catch hold of a Teletalk mobile, he started comparing it with the services of Grameen, Banglalink or Robi. Lower number of human resource: The number of employee of Teletalk is too much lower regarding its requirement. As a result the service quality and customer satisfaction go down. Failed to identify difference between developed market and developing market: Teletalk failed to identify the difference between developed market and developing market. There strategy making is not match with the current situation. Lower promotional activities: The promotional campaign of Teletalk is not too much strong like other providers of Bangladesh as result consumers are less aware about Teletalk and its package. Weak management system: poor coordination among different functional department of Teletalk as result service efficiency goes down. Poor marketing: The overall marketing activities of Teletalk is not much rich like other competitors. Lower number of value added service: Teletalk Bangladesh Ltd. is providing a less number of value added service to its subscriber regarding its competitors. As a result subscribers are becoming dissatisfied on the Teletalk service. The comparison of value added services of different operators are mention below. Where as Teletalk providing less number of value added service. Better customer relationship than competitors. Less time in market as compared to major competitors. Less coverage as compared to major competitors. Less experienced employees than competitors. Not able to capitalize on start. Low prices of competing brands. Robi’s all connections are ISD & EISD. Robi is the only indigenous company using GSM service. Moreover its contribution to our economy can be notable. v The progress of development of network is far below from the subscriber expectation. v Lower number of human resource. v Failed to identify difference between developed market and developing market. v Robi does follow aggressive marketing but it should follow smooth strategy. v Robi faces coordination problem of Management system. 1. Robi can use the image of multinational organization. 4. Robi can use the experience strong network facilities. 5. Robi can use soft switch network, 1. An upcoming mobile service provider named WARID TELECOM a concern of Dhabi group and present market rivals. Subscriber inclination to CityCell as a privet organization. 1. CityCell can use the image of local and government owned organization. 4. CityCell can use the experience of BTTB. 1. An upcoming mobile service provider named TELECOM a concern of Dhabi group and present market rivals. Existing customers are not happy to promotional campaign. Poor advertising strategy with complex to understand by the customer. Promotional activities are not sufficient. Call charge is high comparing other operator. Internet package is not sweet able. Citycell is CDMA network system. Advertising activities is very much poor. Its packages are complex to understanding by user. Grameen Phone is the leading mobile phone company in Bangladesh in terms of market share and growth in the industry. It has the highest number of subscribers, and so far, the best network. To sustain this position, and to ensure that it maintains an increasing growth, rather than a stagnant one, GP has to lower its call rate and provide more facilities to acquire more customers, retain the existing ones, and switch other operators’ customers towards it. Robi, being the second largest mobile phone company in Bangladesh should work more on strengthening its strategy. It’s been quite a long time that Robi is in this position and has hardly worked towards attaining the top position. Robi is in the second position due to its long time in the industry, but when compared to Banglalink, which started way later than Robi but is marginally apart from it in terms of revenue earning, then it must be concluded that Robi should perform with more vigor orelse lose its position to Banglalink. Robi is the pioneer in introducing GPRS in Bangladesh. But it lost its charm as being the first one by not communicating it strongly to the right people. Though Grameen Phone has started later, but people are more accustomed with it than with Robi. Robi’s poor media planning and coverage is to be blamed for such a loss. To jump out of this image Robi has to promote itself properly to people as being the first company to launch GPRS and communicate through the right media having the greatest exposure. Robi is also the pioneer mobile company to launch insurance with its postpaid package. And also the first one to offer 5 fnf to any operator (for prepaid), and an included FNF to BTTB number for postpaid subscribers. It should work on its point of differentiation more critically and exploit the advantage. Banglalink, the 4th entrant in the industry, has experienced remarkable growth within its 3 years of operation. Its exclusive media exposure and coverage, wonderfully maintained public relation at the introductory stage has won millions of subscribers. Popularly known as ‘creating the price war’ Banglalink has revolutionized the call rate strategies. Banglalink has penetrated the market with extremely low rate that no other mobile companies ever thought of. But creating such a chaotic situation of decreasing price every day at the expense of network maintenance cannot be termed as a good strategy. Banglalink has to improve its network and also introduce other services that the leading mobile phone companies are providing. Because people now demand more with a package other than low price. Citycell, the first entrant and the only CDMA cellular service provider had a monopoly market in the beginning. But with the entrance of Grameen Phone, it had a drastic fall down and has moved to no.4 position in terms of market growth. But the average revenue earned per user in a week is noted the highest in Citycell. Citycell, to gain more market share must communicate its services properly to the people and must always highlight its unique selling proposition properly. It must select the right media and provide better network, and other value added services to subscribers. Teletalk, the government owned mobile phone company is the 5th entrant and is seeing emerging business in the industry. But it must introduce new package targeted towards the youth. Because, somehow, the young segment feel rather out from the Teletalk domain. So, a big chunk can be enjoyed from the youth group by introducing a package for them. Airtel, the 6th and the latest entrant in the industry has entered a nearly saturated market. It has entered the riskiest stage and will need time to up heave itself and stand as a competitor for other already strongly-stood companies. It must highlight its unique services as competitive advantage (e.g. 20 FNF, self-activated EDGE services, N-GEN technology, etc) more to the people and also expose its unique attributes to the target customer. The telecommunication industry in Bangladesh is seeing an uprising market, where each of the mobile phone connection companies are competing with all their weapons, which are their unique services and facilities for customers, to ensure a secured leading position. The market for telecommunication is predicted to be potentially strong and also has a profitable future, and this explains why new multinational cellular services companies are entering the Bangladeshi market. The various features provided by the 6 telecom companies – Grameen Phone, Banglalink, Robi, Teletalk, Citycell and Airtel Telecom – are very alluring and competitive. But the companies cannot just invest on such features because most of the people in Bangladesh are not the target consumers of such features. So, the companies should invest more on the telecom infrastructure to provide better network and reduce the call rate to make communication more convenient and economical. And at the same time the government should remove the SIM tax for all operators for ensuring a steady growth of the mobile industry in the country. We are very pleased to have such a wonderful experience in getting this report to existence, and we feel inculcated to do such a report on such a thriving industry, that would very soon generate the highest amount of revenue for the country’s healthy economic state. Kotler philip, principles of marketing, 13th edition, publisher prentice hall. Malhotra, Marketing Research, (Prentice-Hall of India, 2008), 5th edition. Hawkins, Best, Coney, Consumer Behavior, (New Age Publication, Dec. 2007), 9th edition.